A pair of preserved locomotives with very different futures ahead of them! 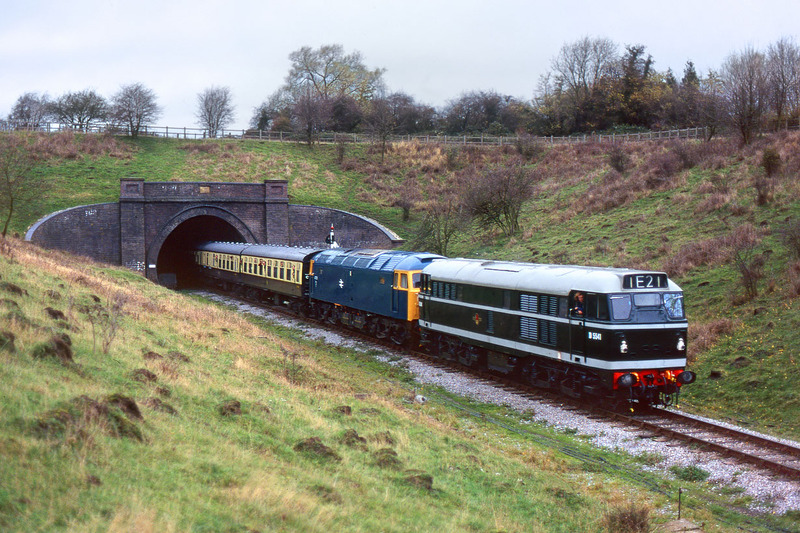 D5541 & 47105 emerge from Greet Tunnel on 13 November 1994 with the 13:21 Far Stanley to Toddington service, during the Gloucestershire Warwickshire Railway's Diesel Gala. D5541 was scrapped in 2006, while happily 47105 lives on under the care of the Brush Type 4 Fund.